The hissing sound you hear is the vacuum reserve depleting through the filter unit that is mounted on the inner transmission tunnel/bulkhead drivers side. This is normal and after a period of standing the noise will disappear as the vacuum pressure equalises back to normal atmosphere. So that can be discounted. Fuel starvation has been mentioned, this can often be attributed to poor filter sealing on the fuel filter. Often the O ring that lives beneath the black non-return valve leaks causing fuel to leak back to tank and prevent starting. Occasionally this black £5 Mercedes part (that lives on the top of the fuel filter) gets a hairline crack which has the same effect. I doubt on this occasion fuel starvation is the issue though, as the engine does not just ‘fade away’ as it would with lack of diesel, it dies in a violent struggle which indicates to me an electrical fault of some sort. There is a large loom section that runs over the passenger side engine mount, this often gets pinched if it is not fastened correctly or sometimes suffers from breaks in wires/shorts etc due to engine movement or perhaps rubbing on the metal components it passes over. Inspect this very carefully and if needed slice a good section of the braided over-covering with some scissors and inspect what lies inside, tape up any obvious bare or shorting wires. Broken wires are harder to find but often irregularities in the conductors insulation gives the game away. As the engine starts and idles well in the video, only dying when you rev it (engine movement/rocking) my money is on an electrical short/or intermittent disconnection probably an injector cable (thicker wires) It only needs the interruption of a single injector wire (short or otherwise) to kill the engine in this fashion as it turns off all injectors as a safety precaution. The smoke and noise you observe is as a result of this sudden injector turn off, the engine ceasing to run in a controlled manner, and fuel just being injected uncontrollably for the last split second before stalling. There are a few cases of the injector loom rubbing on the cylinder head/rocker cover wearing through the insulation and shorting. This can only be accessed by removing the inlet manifold and injector cover which is probably more than you want to do at the roadside. Its worth mentioning to the repair garage. There is one last thing to check and that is the engine ECU that lives under the dash by the bonnet release passenger side. Unclip this and check the connections are clean. Looking at your video there is normal rusting below the windscreen, this sometimes allows rain to run down directly onto the ECU connectors and start corroding them. The Connections on the ECU to be looking at are the ones on the far right (Thick injector wires, Blue, Black and Purple combo as I remember) Pull out the plug and make sure all is nice and clean and snug. Good luck on getting it sorted and getting home – my bet is the problem lies in the electrical loom over engine mount passenger side, but pretty certain its electrical. PS. Just had another thought. Notice if the tacho needle is ‘bouncing’ when you are cranking the starter. If not, it could be that there is an issue with the crankshaft or camshaft sensor. These are located above the starter on the bell housing seam and on the rear of the rocker cover, under the injector cover respectively. If these are problematic in any way they will shut down the engine if either loses or confuses a signal. Often the signal is enough to keep the engine at idle but the reported signals become insufficient to feedback accurate timing signals to the ECU to sustain a normally running engine. Any synchronisation errors between the cam and crankshaft will cut the engine. 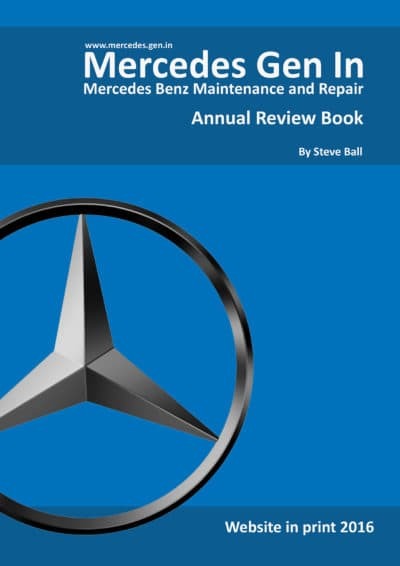 Probably the best thing would be to invest in an accurate code read from a Mercedes compatible code reader, STAR or Autel being the most accurate, SnapOn Solus is good with the correct module, but if used with the more generic ‘Mercedes plug in’ it sometimes gives incorrect interpretation of stored faults on Sprinter models. A compatible fault code read will cost you around £35 to £45 and actually be very good value, especially as it should point to the area of concern, eliminating a high proportion of guess work from your fault finding. Just for your info here is a link to a video showing one of the problems mentioned above – wearing through of the injector wiring on the rocker cover, under the injector cover.